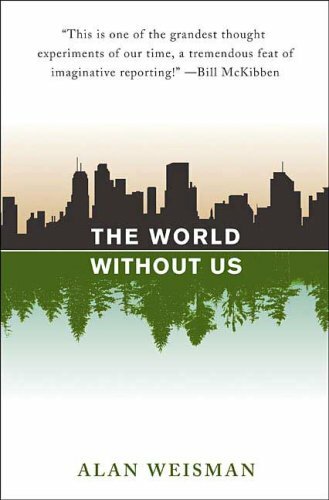 Teasing out the consequences of a simple thought experiment—what would happen if the human species were suddenly extinguished—Weisman has written a sort of pop-science ghost story, in which the whole earth is the haunted house. Among the highlights: with pumps not working, the New York City subways would fill with water within days, while weeds and then trees would retake the buckled streets and wild predators would ravage the domesticated dogs. Texas’s unattended petrochemical complexes might ignite, scattering hydrogen cyanide to the winds—a "mini chemical nuclear winter." After thousands of years, the Chunnel, rubber tires, and more than a billion tons of plastic might remain, but eventually a polymer-eating microbe could evolve, and, with the spectacular return of fish and bird populations, the earth might revert to Eden.